Central Hospital Location, Helpline Number, Address, Specialist Doctor List! Hello Dear, welcome to Central Hospital Limited Doctor List, Hotline Number, Address & More Info Content. In Bangladesh, the Central Hospital is a popular hospital. So, many people are searching, how to know Central Hospital Address, Contact Number, Specialist Doctor List and Official Website. So, we update here all details contact information about the Central Hospital Doctor List, exact Location, Email, Mobile number. We hope this content help to know all information about the Central Hospital Dhaka, Bangladesh. Address: House # 2, Road # 5, Green Road Dhanmondi, Dhaka, Bangladesh. Phone: +880 2 9660015-19, 8624514-9. Consultation Appointment Number: +8801738880134 and Customer Care # +8801738880135. Degree : MBBS, FCPS,MS(Obs & Gynae) Consultant Gynaecologinst, Obstetician Specialist & Surgeon. Degree : MBBS, DGO, MS(Gyane) FCPS (Gyane) Asst. Prof.(Obs & Gyane) Gynaecologinst, Obstetician Specialist & Surgeon. Sir Solimullah Medical College & Midford Hospital, Dhaka. Degree : MBBS, FCPS (Gynae & Obs) Obs & Gynaecology Specialist & Surgeon BSMMU(Ex. P G Hospital), Dhaka. Degree : National Professor,MBBS(Cal),DTM &H(Edin) DCH(Lond),FCPS,FRCP(Edin). Degree: MBBS, FCPS, Prof of Paediatrics. Degree : MBBS,MD(Paed),FCPS(Paed),Fellow in Neonatology. Degree : MBBS, MRCP, DCH. Child Health Specialist. Degree : MBBS,FCPS(Paediatric),paediatric Cardiologist,Paediatricial and Intensivist. Degree: MBBS, MS Paediatrics Surgeon. Degree: MBBS, DCH (RCP & S, Ireland) Child Specialist & Neonatologist Consultant and In-charge of NICU Central Hospital Ltd. Degree: MBBS, FCPS (Neonatologist) Neonatologist & Child Specialist. Thanks for staying with us a long time and visiting Central Hospital Doctor List, Hotline Number, Address & More Info Content. 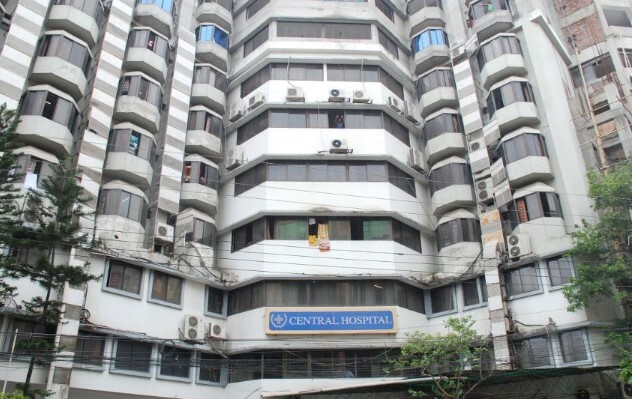 If you have any question about the Central Hospital Bangladesh? Just comment here. We reply as soon as possible.